IIT Ropar Recruitment 2019 - Apply Online for Non-Teaching Posts in IIT Ropar, Ropar, Punjab. Online Applications are invited by IIT Ropar from 12 Apr 2019 to 27 Apr 2019 for 4 vacancies. Graduate degree with 1.5 years of experience. Eligible candidates may apply online at IIT Ropar's website (direct link is given below) from 12 Apr 2019 to 27 Apr 2019. Candidates log on to http://www.iitrpr.ac.in/. IIT Ropar Recruitment 2019 - Job notification for JRF Post on a project entitled “Analytical Solution of the Hillslope Boussinesq equation considering unsteady boundary and variable recharge with bedrock seepage” in IIT Ropar, Rupnagar, Punjab on Temporary Basis. Applications are invited by IIT Ropar on or before 06 May 2019 for 1 vacancy. IIT Ropar Recruitment 2019 - Job notification for JRF Post on a project entitled “Design and development of miniaturized cost-effective antennas for Internet of Things and 5G technology” in IIT Ropar, Rupnagar, Punjab on Temporary Basis. Applications are invited by IIT Ropar on or before 01 May 2019 for 1 vacancy. IIT Ropar Recruitment 2019 - Job notification for JRF Post on a project entitled "Quantum gate and generation of non-classical states using spinchain at the metal-dielectric interface" in IIT Ropar, Rupnagar, Punjab on Temporary Basis. Applications are invited by IIT Ropar on or before 30 Apr 2019 for 1 vacancy. 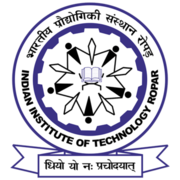 IIT Ropar Recruitment 2019 - Job notification for Junior Research Fellow Post on a project entitled “Propagation and attenuation of shear waves inducing high strains in jointed rocks” in IIT Ropar, Rupnagar, Punjab on Temporary Basis. Applications are invited by IIT Ropar on or before 30 Apr 2019 for 1 vacancy. IIT Ropar Recruitment 2019 - Job notification for JRF Post on a project entitled “Development of Porous Metal-Organic Frameworks (MOFs) for Catalytic Conversion of Carbon dioxide to Fine chemicals” in IIT Ropar, Rupnagar, Punjab on Temporary Basis. Applications are invited by IIT Ropar on or before 23 Apr 2019 for 1 vacancy.